What is PMI-RMP® Certification? 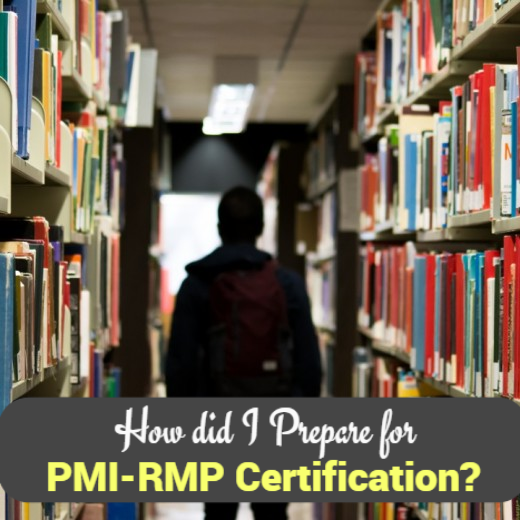 How did I prepare for PMI-RMP® Certification? You will find answers to these questions in this article. I became a Certified Risk Management Professional and earned my PMI-RMP® Credential about two years back. In this article, I would like to share the various mock exams I tried and the scores I obtained in those. I am just jotting down the journey towards obtaining PMI-RMP® Certification. I believe that only practice can help you. I believe that most of the candidates who prepare for the risk management exam are already certified PMPs. So, they have the knowledge and basic understanding of how the risks are identified, assessed, risk responses planned, monitored and controlled. So, all they need is to practice more and more mock tests/ practice questions to get it right. Please go ahead and successfully obtain your PMI-RMP Credential!